Tralee Holiday Lodge, this newly established, purpose built budget accommodation facility is situated in the very heart of Tralee. It offers exceptional value and service with rates to suit everyone. 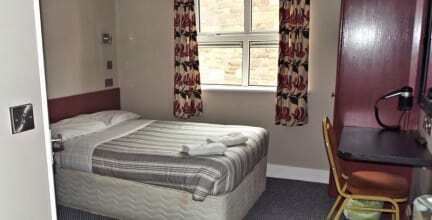 We can accommodate 100 guests with a variety of comfortable, en-suite rooms catering for large or small groups, families, and individuals. 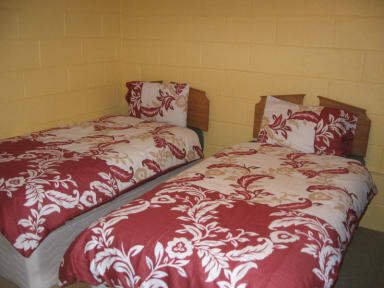 Tralee Holiday Lodge is tastefully decorated and furnished. Its pleasant atmosphere makes it the ideal Location where you can relax, enjoy yourself and experience the warmth and hospitality that has made Kerry the most popular holiday destination in Ireland. Tralee, the capital town of Kerry and gateway to this beautiful, friendly County offers the family and budget traveller an absolute plethora of activities and amenities – all within walking distance of Tralee Holiday Lodge. Visitor attractions include a modern museum, medieval exhibition centre, art & craft exhibitions, indoor swimming, fitness and sports centers, snooker hall, children play centres, Town park, greyhound track, pitch & putt course, horse racing and of course it hosts the famous International Rose of Tralee Festival. Tralee abounds with vibrant night-life, the pubs offer a variety of entertainment with anything from traditional music to jazz & blues on the menu. Speaking of menus, Tralee’s many excellent restaurants offer a delightful array of the fine food and wines for you to enjoy. Together with exciting night clubs, concerts, variety shows, cinema complex and theater it all adds up to make Tralee the premier visitor center unmatched any where in Ireland. Self catering kitchen with spacious dining area. Method of Payment upon arrival: Cash or credit card. Lage mitten in der Stadt mit Parkplatz war sehr gut. Das Hostel war sehr sauber und die Mitarbeiter freundlich. Die Küchenausstattung war gut, doch die Pfannen sind erneuerungsbedürftig. It's not really a hostel, so naturally you don't get the atmosphere and the only time to meet people was during breakfast. Breakfast was quite nice and they have a bit more options than your usual cheap hostel but that comes with the price I guess. Staff was not able to point out to me if there is a kitchen to use or not. But I didn't ask again. Rooms nice and clean.